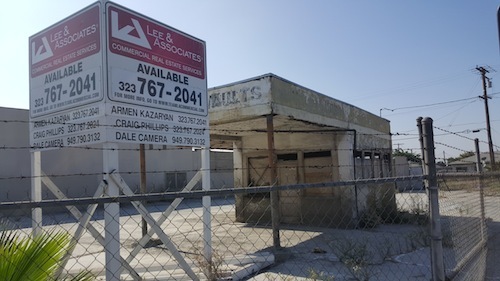 The Board of Supervisors on Tuesday turned down an appeal by East Los Angeles residents to block the development of affordable rental units at Whittier Boulevard and South Downey Road, pushing forward with plans to fight homelessness. Supervisor Hilda Solis said such developments are sorely needed to keep more people from losing their homes. “Were not even scratching the surface,” Solis said, noting that the county’s housing gap between supply and demand amounts to more than half a million units. The two-building complex, to be built on two sites across from Calvary Cemetery, will replace vacant commercial buildings. Downey I — a three-story, 42-unit, garden-style apartment building — will include 1,161 square feet of retail and parking space on the northwest corner of the intersection. Downey II will be four stories with 71 units and 3,208 square feet of retail and parking. All but two manager’s units will be for low-income residents and 15 percent will include features for renters with special needs. More than 100 residents signed a letter opposing the project, raising concerns about traffic, parking and the scale of the development in an area of single-family homes and duplexes. Many turned out to try and persuade the board, in both English and Spanish, not to move forward. “There’s already impossible traffic … and I don’t understand how over 400 more residents are going to fit in this community,” said Estela Donlucas, telling the board that her family had lived in the neighborhood for more than 45 years. Others worried about hazardous contaminants like lead and arsenic. Soil samples showed “no significant concentration of lead,” but elevated levels of arsenic were found in two areas, one on each site, according to a county fire official in the department’s hazardous materials division. The developer, Meta Housing, has agreed to handle environmental cleanup before beginning grading on the sites. Asbestos and lead-based paint in the buildings set for demolition will be managed through the permitting process. Voters approved Measure H, a quarter-cent sales tax to fund the fight against homelessness, by nearly 70 percent. However, residents in many communities have pushed back against affordable housing development in their own neighborhoods. Some Angelenos offered their support. Fanny Ortiz, a Boyle Heights resident and single mother of five children, including one with special needs who requires 24-hour nursing, said access to affordable housing changed her life. “I believe housing is a basic human right. We are in a housing crisis and development of affordable housing is an equitable solution,” Ortiz told the board, adding that she once lived in the neighborhood in question. As a “transit priority project,” the proposed development was granted a California Environmental Quality Act exemption, which means it will not have to report on traffic impacts on global warming or the regional transportation network. Solis defended the board’s decision, noting that poverty rates in the county have risen above 25 percent. The lowest income renters right now spend more than 70 percent of their income on rent, Solis noted, citing data from the Public Policy Institute of California. Immediately following the board vote, Solis issued a statement. “It is evident that both the community and Meta Housing are deeply passionate about quality of life of our residents. Every testimony we heard at the board today had one thing in common: the community and its well-being,” she said.